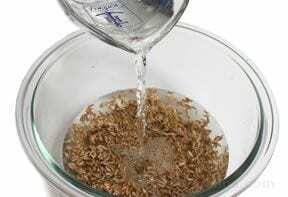 This is a guide from sanneleenman.com on how to get rid of the anti-nutrients and gluten in grains. If you don’t know why you’d ever want to bother with that, read this article about grains for your gains. Grains, legumes and seeds often get a bad rap. Many of these products are naturally high in phytic acid, an antinutrient that inhibits the absorption of other nutrients in the diet. 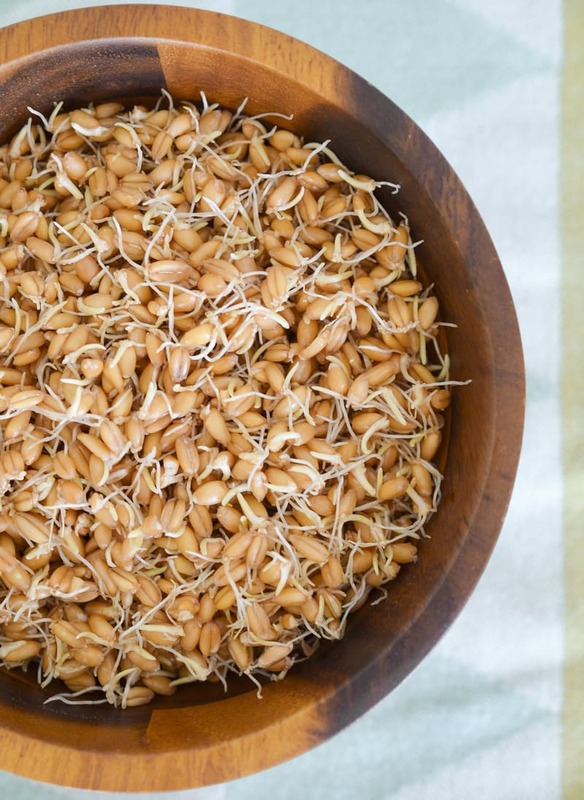 Luckily, preparation methods such as soaking, sprouting or souring (or any combination of the three) can substantially reduce their phytic acid content and make these foods more nutritious and safe to consume even for people with food intolerances. Place the rice in a large (non-metal) bowl. Completely fill the bowl with warm, filtered water until rice is fully covered. Cover the bowl with a clean towel (you can use a rubber band to secure it) and allow it to sit on the kitchen counter for 12 hours. Rinse well, until the water runs clear, before cooking. Note: soaked rice may need less time to cook than non-soaked. Place the legumes in a large (non-metal) bowl. Completely fill the bowl with warm, filtered water until legumes are fully covered. Cover the bowl with a clean towel and allow it to sit in on the kitchen counter for 12-24 hours. Change the water once or twice during this time period. Rinse the legumes several times when you refresh the water to prevent fermentation. After 12-24 hours, rinse the legumes well before cooking them. 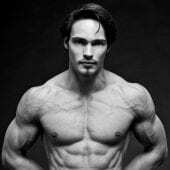 Tip: Around the web, a lot of people use an acidic medium with active cultures, such as yogurt, buttermilk, whey, milk kefir or coconut kefir, to reduce the phytic acid content even further. This is not especially needed for rice since rice has high levels of phytase, the enzyme that helps to break down phytates. However, when soaking legumes or nuts, an acidic medium is highly recommended. All you need is a few things: a large bowl, a clean towel and water. It’s an easy method that reduces some of the phytic acid content in legumes and most of it in rice. It’s not suitable for grains low in phytase, like oatmeal. In order to reduce the phytic acid, you’d have to sour them (see below). It doesn’t completely reduce the phytic acid in legumes; further reduction requires sprouting (see below). 1. Soak the seeds or legumes first in water for at least 12 hours (as described above), to increase the moisture content and reduce phytic acid. 2. Rinse the soaked seeds or beans well until the water runs clear. 3. Use a (mason) jar for sprouting. 4. You will have to rinse the the seeds or legumes with filtered water several times a day (at least twice) for them to actually sprout. Rinse them and drain the rest of the water, as if you’re watering a plant to keep them moist in order to grow. 5. The sprouting time varies per legume, nut or seed. After a few days (depending on the seed you use) you’ll notice a little ‘tail’ coming from the seed, which indicates that it’s growing and sprouting. 6. Store the sprouts in the fridge and use them within 3-4 days. You can enjoy them raw, lightly cooked or cooked in a good chili like you normally would. Tip: Make sure your hands, pots and kitchen stay clean during the whole process to prevent infection from bacteria. The process itself is pretty easy; you only need a bowl/jar and some water. It’s time consuming and you’ll need to rinse the seeds or legumes each day in order to keep them fresh and growing. Combine the flour and water in a non metal bowl or container and stir well until it forms a smooth batter. It should look like thick pancake batter. If it’s too watery add some more flour, or vice versa. Cover it loosely with a towel or kitchen paper. Put it somewhere with a consistent room temperature of 70- 75°F / 20-23 ° C and let sit for 24 hours. There might be some bubbles starting to show in your starter, which is a good sign that it’s fermenting. Don’t worry if you don’t see anything happening yet, it might take a little longer depending the room temperature or other factors. Add the flour and water to the batter, stir well until everything is combined and cover loosely again. It should still look like thick pancake batter. Place it back where it was. There should be some bubbles in your starter and it should start to increase in volume. It should also start to smell more sour. Again, add the water and flour. Stir well. Place it back where you store it. Repeat this ‘feeding’ process every day. 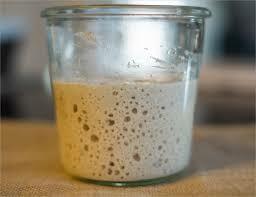 Your starter will grow in volume and become more bubbly – even frothy, over the coming days. If at any point it starts to smell foul, changes color dramatically or is not bubbly anymore throw it out and start again. Just use common sense and your nose for this. By now your starter should have increased in volume and be very bubbly. You can now use it to make sourdough bread. If you want to make more than one bread, save some of the starter and keep feeding it each day, as described above. You can place it in the fridge to slow down the fermenting process. The process itself isn’t hard. Works well to substantially reduce phytic acid in wheat and oatmeal. Home-made sourdough bread is simply delicious. The process is time consuming, and you’ll need to feed the starter daily.